A tranquil moment in Karo, gazing at the sea. 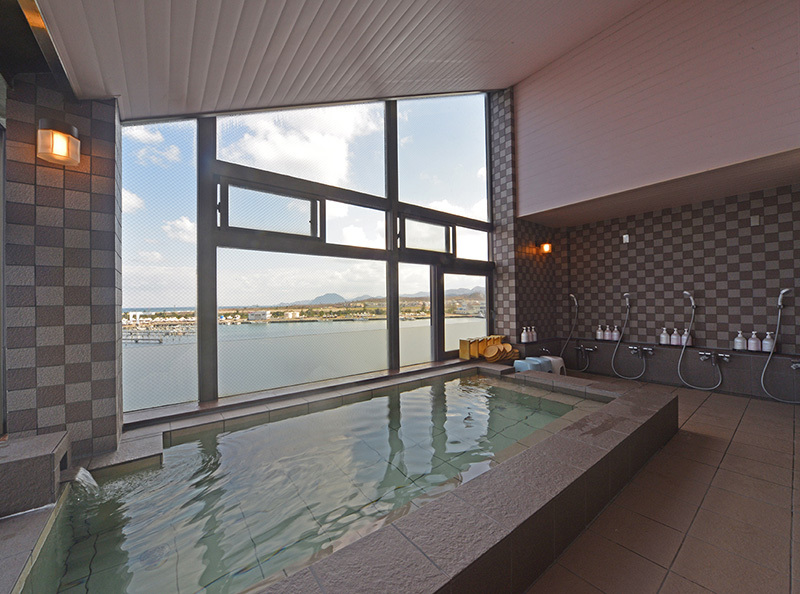 Situated in the port town, this inn sits right next to one of the prefecture's premier fishing spots: Karo Harbor. Enjoy a plethora of seafood, always fresh throughout the year. 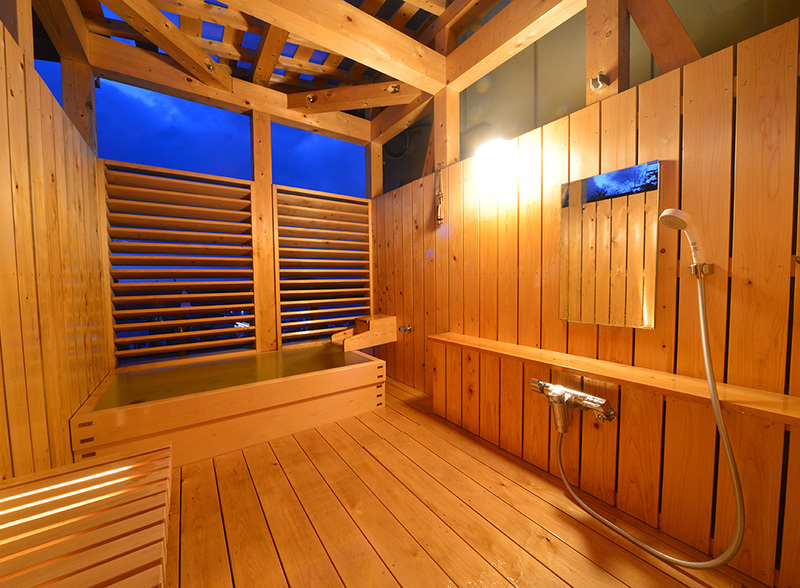 Soak away the rigors of travel in an open-view bathhouse looking out at the magnificence of the Sea of Japan. Heartfelt hospitality. 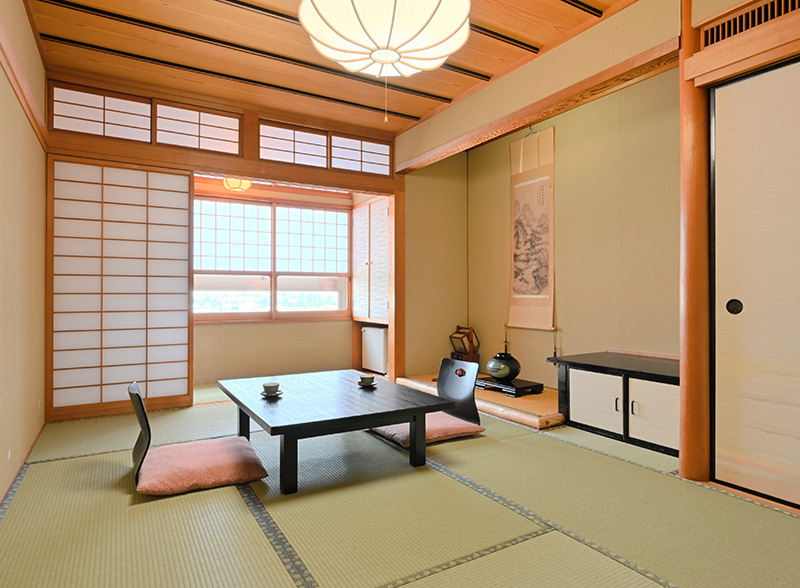 Relax in the family atmosphere of this eight-room ryokan. 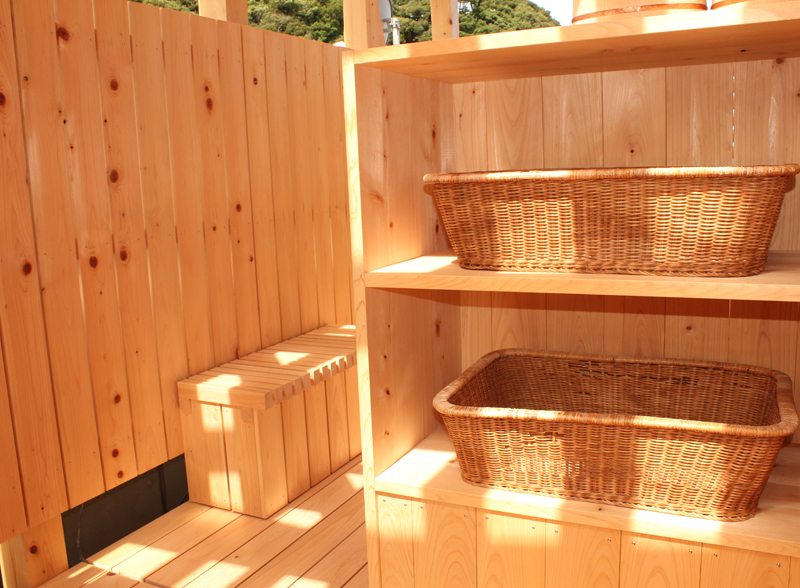 Take breakfast in the morning sun as it rises over the Tottori Sand Dune. Open the windows on summer evenings and bask in the cool sea breeze while dining on the harvest of the sea. 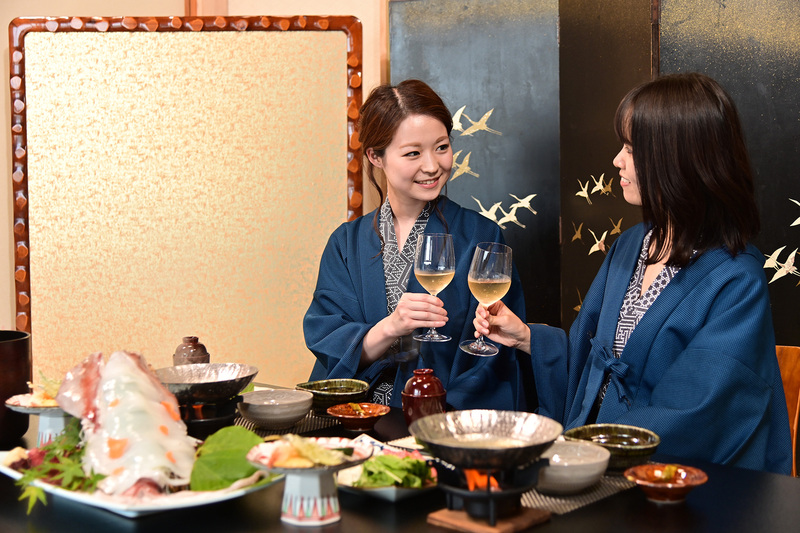 In winter, enjoy a cup of sake while looking out at the snow-covered scenery. 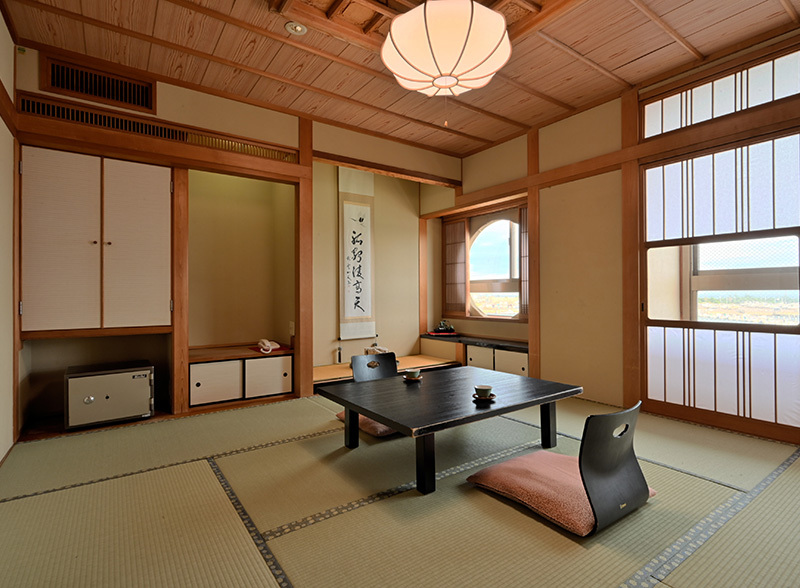 All eight rooms are tatami-floor, calmingly simple and spacious. A tranquil view of Karo's fishing port spreads out from the window of every room. 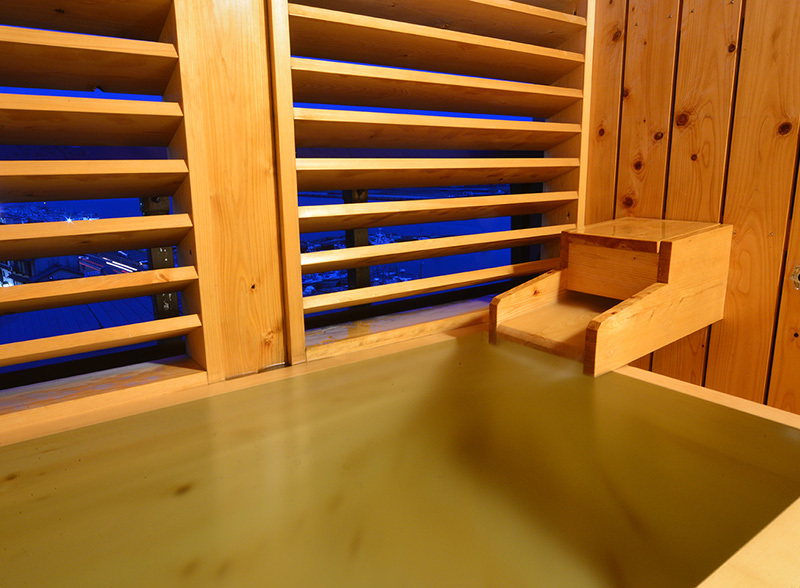 Soak away the weariness of travel in Yamadaya's fourth-floor scenic bathing area, with "Asanagi" and "Yunagi". 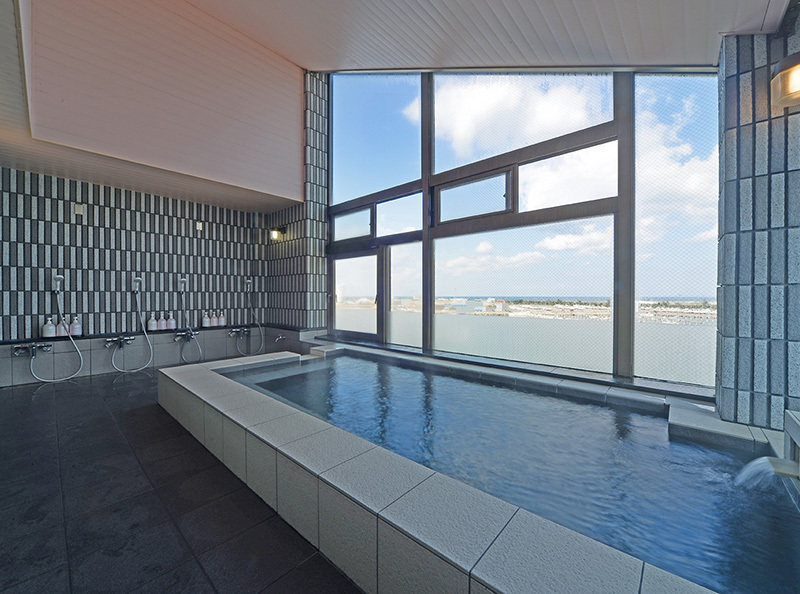 A panorama of the splendid Sea of Japan outside the windows. 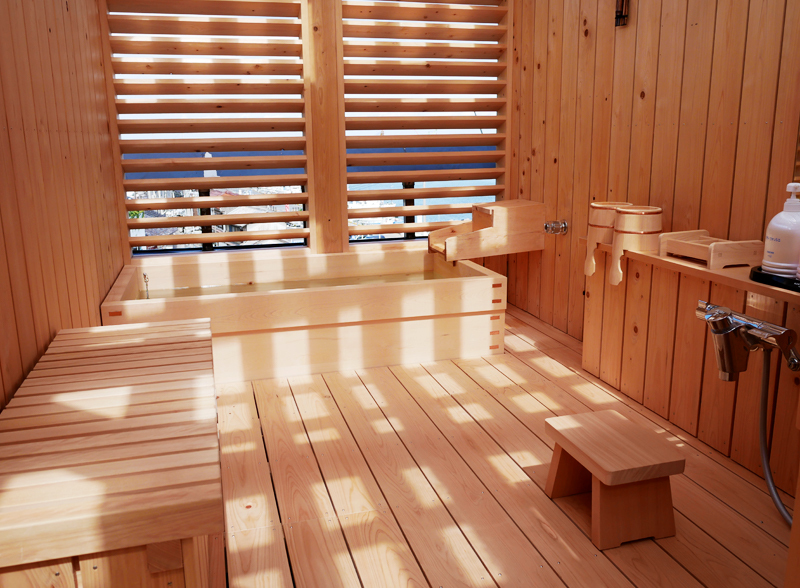 Bathe luxuriously looking out at a world unknown in daylight, as the squid-fishing boats glimmer on the sea. *For more information please refer to a paper in the facility. This service is by advance reservation only. From early summer to late autumn, the evening flicker of the lights on the Sea of Japan, luring the fish to the fishermen's boats, is a poignant reminder of the season. The catch hauled into the boats is Kensaki squid, known locally as shiroika or 'white squid'. This popular sweet, rich flavour is emblematic of summer in Tottori. 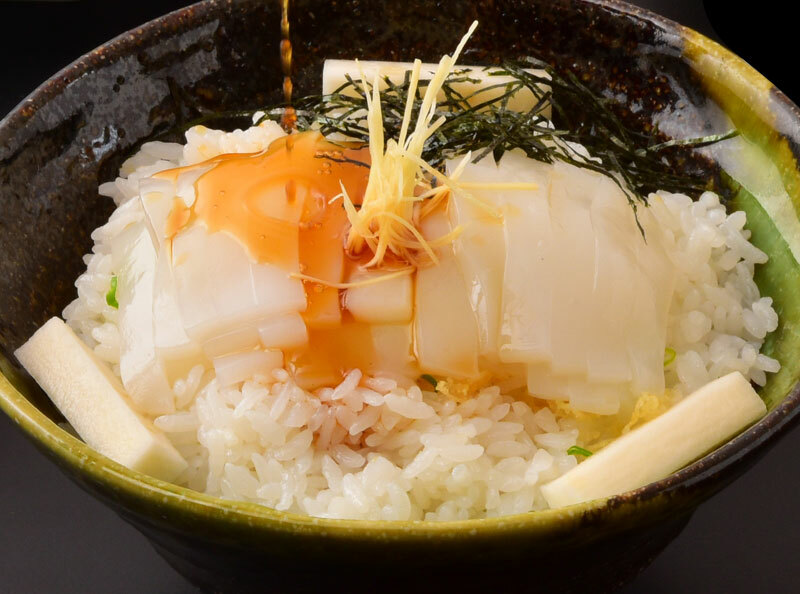 It's delicious as sashimi, boiled with vegetables in soy sauce, or fried. Tottori's rock oysters grow to 20cm long, reaching weights of as much as 1kg. They are collected naturally, by skin divers. At 'Natsudomari' Port in Tottori's Aoya Town, traditional women divers called ama collect the oysters just as in days of old. Nicknamed 'the milk of the sea', the oysters are at their best as a hearty meal squeezed with lemon. 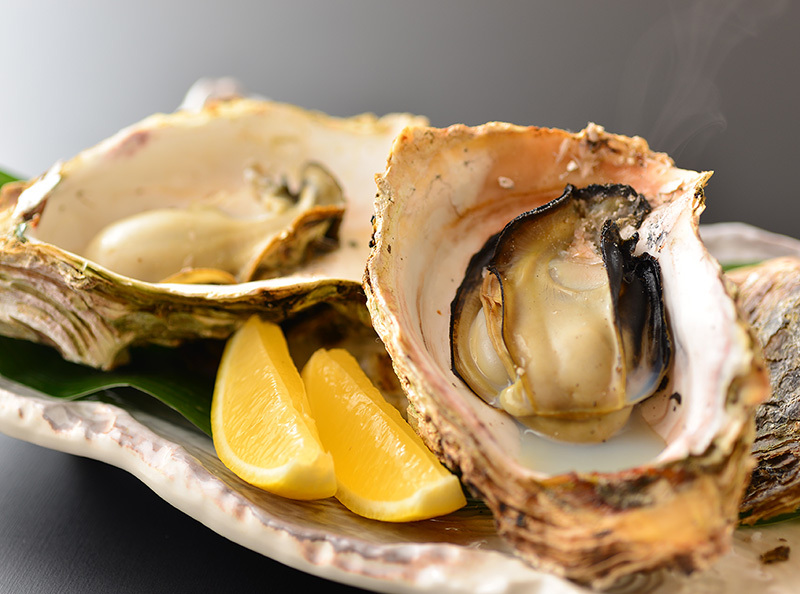 Quite different from the Pacific oysters found in winter, the oysters of early summer through the Obon season are the epitome of Tottori's summer flavour. 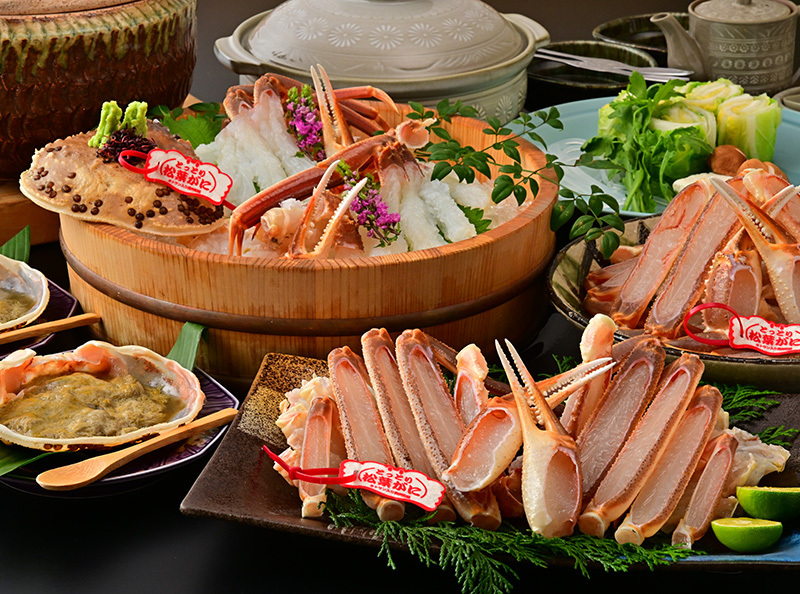 The full-grown adult male snow crab, called Matsuba crab, is a luscious feast packed with meat, a symbol of winter in Tottori. These crabs are found from the first half of November until the period of March when the Sea of Japan's winter waves are still high. 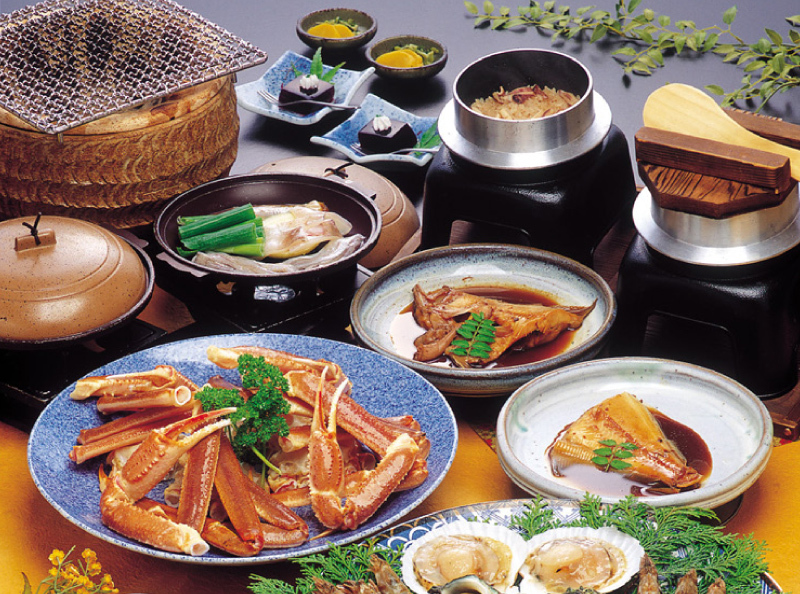 The Matsuba crab's big, meat-packed shell is a hearty bite, excellent boiled or roasted. The crab's miso pairs perfectly with sake or rice. 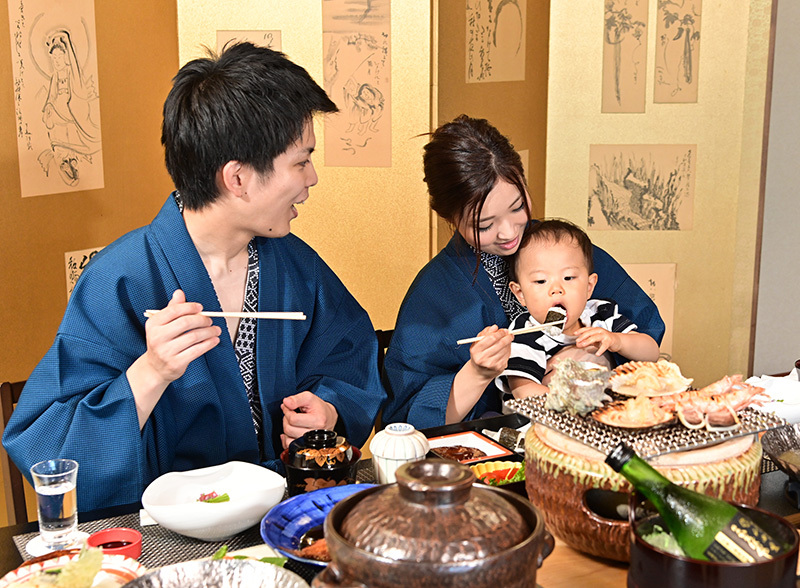 Yamadaya offers banquet and reception halls in various sizes, suitable for parties and feasts, celebrations and memorial services. Arrangements can be tailored to specific budgets and numbers of guests; feel free to discuss details. A portion of lodging charges are to be paid on any reservations cancelled within seven days prior. Tour bus running excursions from Tottori Station to destinations such as Tottori Castle Ruins, Tottori Sand Dunes and Karo Port.